We always welcome visitors. There are no set visiting hours. However, please be considerate of other patients during night hours. You may reserve the dining room for any special event (birthdays, holidays, meals) in advance with the Activities Director. We would love for your family pet to come visit. Please remember to clean up after them and take the proper safety measures at all times. All pets should be kept on a leash. Mail is delivered to patients personally on a daily basis except for weekends and holidays. 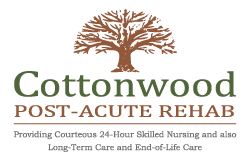 For the safety and welfare of all patients and staff, Cottonwood Post-Acute Rehab is a non-smoking facility. The designated smoking area is in the main outside patio. Bed linens, hospital gowns, and towels are provided and laundered by the facility. If you would prefer to do laundry for your loved one please inform the charge nurse/social services designee. We have beauticians available Monday from 8:00 a.m. to 12:00 p.m. Please contact the social services director to set up an appointment. Payments for all services are to be made in advance or at the Beauty Shop during the appointment. Free parking is available behind the facility. Avoid parking in spaces specifically reserved for the handicapped, employees, and physicians. All of the rooms already have free cable television in them but if you would like to bring in your own television from home please consult with our maintenance director to ensure proper placement according to county fire codes. Cottonwood Post-Acute Rehab has a vibrant atmosphere with dynamic, individualized activities that match the capabilities and needs of patients and their guests. We also have active resident and family councils as well as volunteer programs. Scheduled activities include: music, fitness activities, religious meetings, outside entertainment, games, gardening, field trips/outings, and volunteer involvement. If you would like to arrange something special or have suggestions and ideas for individual or group activities, please inform our Activities Director. We welcome and encourage involvement from family and friends. 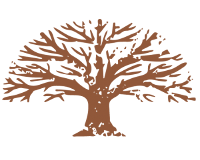 Suggestions and recommendations for changes in the facility rules may be submitted in person or in writing to Cottonwood Post-Acute Rehab administration. This will depend on each individual’s needs and diagnoses. Patients must have a Medicare card that reads “Hospital Insurance”. They must also be admitted to the facility with a physician order within 30 days of a three consecutive night hospital stay. Generally, during the first 20 days of care, Medicare will pay 100%. For days 21-100, a daily co-insurance rate is required. Medicare does not cover skilled nursing fees over 100 days.